What Does Deed in Lieu Mean in Easy Terms? If you're behind in your payments and you can't find a buyer for your home, you might decide that you just want out from under the mortgage. If you walk away, foreclosure will wreck your credit. 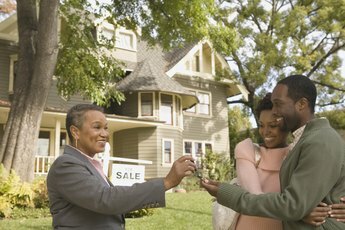 Maybe a friend or family member has mentioned to you the possibility of a "deed in lieu of foreclosure." A deed in lieu can be much better than an outright foreclosure, but it may still have some limitations. A deed in lieu of foreclosure is exactly what it sounds like. You sign a new deed to your property. The new deed transfers ownership from you to your mortgage lender. Your mortgage lender accepts the deed instead of -- or in lieu of -- initiating costly foreclosure proceedings to reclaim your home. You're effectively giving your property to the company who financed your mortgage so you no longer have to pay the mortgage. When your lender has ownership, it can sell it and recoup your mortgage balance, which may be preferable to an auction on the courthouse steps if the company had to foreclose instead. Even though a deed in lieu offers some advantages for your lender, mortgage companies don't always jump at the chance to negotiate one. Some require that you list your house on the market for at least 30 days first to give prospective buyers an opportunity to buy it. Others may demand that you agree to pay the difference between your mortgage balance and the eventual sales price if the sales price falls short. If your lender does agree to accept a deed in lieu, your credit report will take less of a hit than if the company takes the property back through foreclosure. You should be able to more easily finance another home in the future. Your signature on the new deed absolves you of all legal responsibility for the mortgage going forward and sets you free to get on with your life. If your deed in lieu is conditional on you being responsible for any deficiency between the sales price of your home and your mortgage balance, this option loses much of its appeal. This means that the lender can still bring a lawsuit against you if you default on the deficiency. A deed in lieu is only advantageous if the lender completely "forgives" your mortgage so you owe nothing else whatsoever on it. You'll lose the investment you made in your home, but that would happen anyway unless you managed to sell the property for more than your mortgage balance. 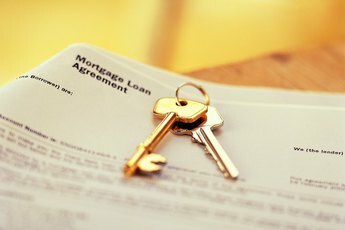 Can One Person Get a Mortgage With Two Owners?